Sports Rendezvous: Dean Elgar 'shocked' over South Africa teammate Morne Morkel's sudden retirement. Dean Elgar 'shocked' over South Africa teammate Morne Morkel's sudden retirement. Elgar said that the entire South African team was shocked with Morkel's sudden decision to retire from cricket. Johannesburg: South Africa opening batsman Dean Elgar has said that he went in a bit of shock after fast bowler Morne Morkel announced his retirement from all forms of cricket. Morkel recently dropped a bombshell when he announced that he would bid adieu to all forms of international cricket following the conclusion of the four-match Test series against Australia, beginning Thursday in Durban. 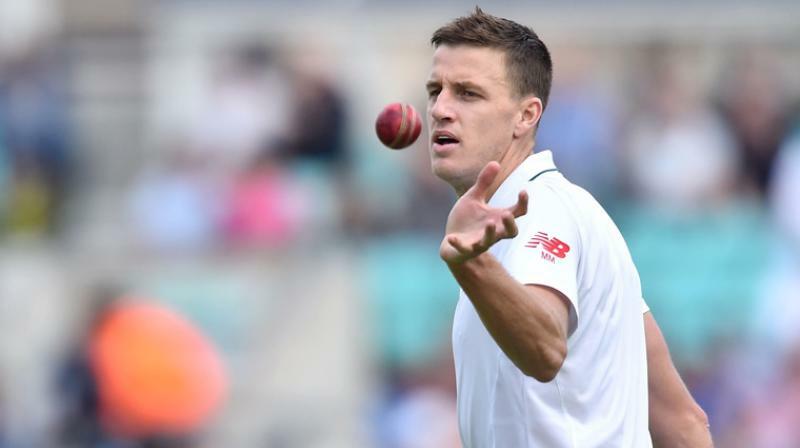 Reflecting on the same, Elgar said that the entire South African team was shocked with Morkel's sudden decision to retire from cricket. "I think my reaction is quite mutual in the team, it was a bit of a shock, You don't expect a guy to be retiring so soon. Full story at Deccan Chronicles.